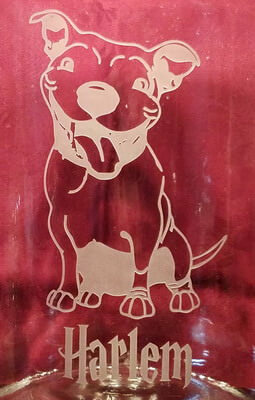 The personalized engraved huge dog treat jar is the perfect treat storing container for man's best friend! The dog treat jar is made out of glass with a screw-on lid. It is one gallon which is plenty of room for storing your dog's goodies. 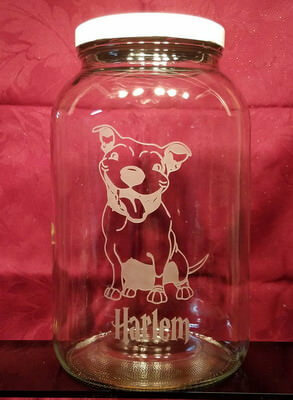 The personalized engraved huge dog treat jar can be customized with a dog breed picture and your dog's name, and any font.